If Shirashi-Sensei’s movement left me feeling confused and lost, Someya-Sensei’s movement had me feeling right at home. At one point he told the class to keep their feet following the lines on the mats. And he said that if our toes point a different direction from where we were headed, our force would be divided. Sounds familiar? 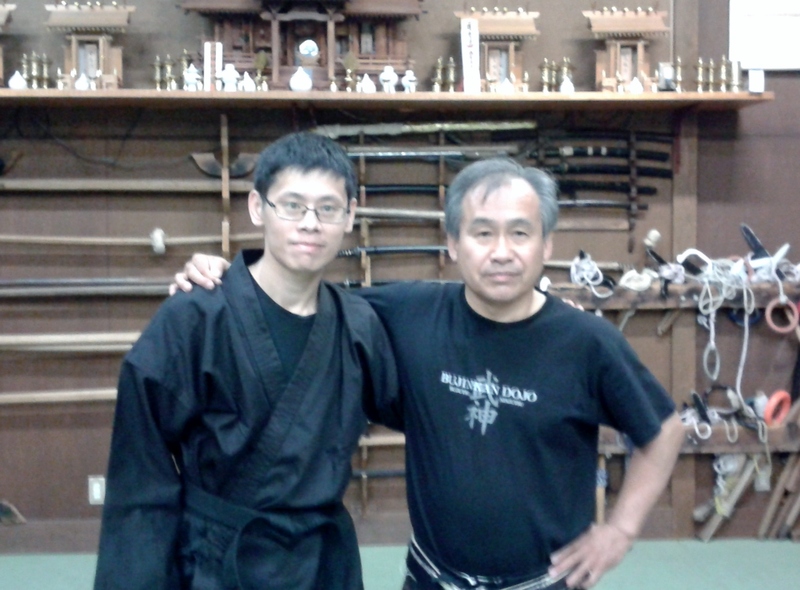 I attended two of his classes, and he covered the basics of kenjutsu (sword), muto dori (unarmed vs. sword) techniques from Koto Ryu, and even some naginata (halberd). I was told to attend his classes because of his focus on weapons-based material, and I was glad I did. He helped me see the movement mistakes I wasn’t aware of. It’s best I fix them before too late! He also showed us his copy of a ninja-densho (transmission scroll), and kindly allowed us to take pictures of it (I put up a couple of those pictures on my Facebook). He said what was in the scroll was not Bujinkan but related. He also told us honestly that what he had was NOT an original densho but a copy made during the Edo period. So it was only about two hundred or so years old. But it still gave me a sense of the history and tradition of Japanese martial arts. This culture spent hundreds of years on combat and survival, and the universal lessons that are passed down are a treasure. They ought to be treated as such, and I hope that I myself would do them justice!